There are a select few brands that I get behind and I am enthusiastic about. ELLE is one of those brands. I have been promoting the ELLE Time & Jewelry since 2015 – I guess you can say that I have become an unofficial ELLE Ambassador which I LOVE doing. I simply love their jewelry! And I receive many compliments anytime I wear it too (which is almost every day). I was first introduced to ELLE Time & Jewelry at the Administrative Professionals Conference (APC) in Toronto, in 2015. Elle Time & Jewelry have been one of the sponsors of the conference for a few years now. Like many women I love bling but ELLE is much more than that. Their jewelry is sleek, unique and can fit any style. Whether you wear it for a conservative work environment (like myself), for fun, or just to express who you are, there are pieces for every style and taste. ELLE jewelry fits in everywhere! 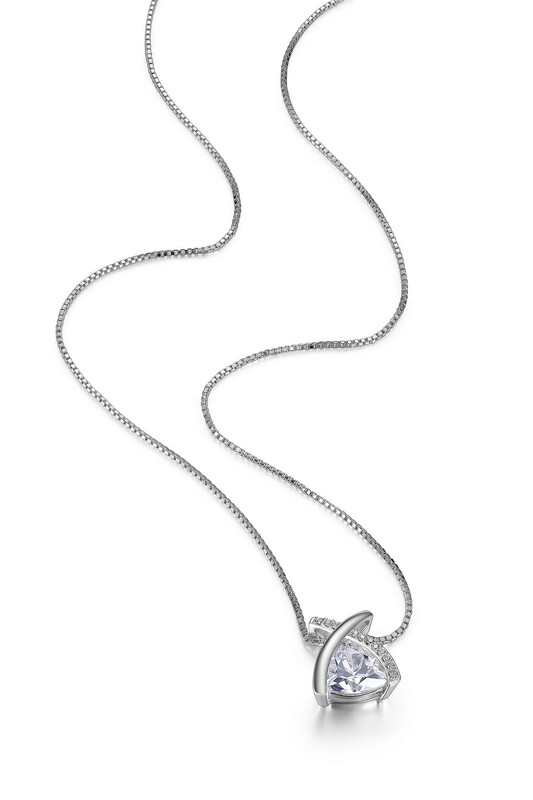 What first sold me on ELLE jewelry is the fact that every piece is made from 925 sterling silver, which is then finished with a layer of palladium, and then a layer of rhodium. Why does this matter? Well it ensures that the ELLE pieces do not tarnish, they don’t leave marks on your skin and the brilliance doesn’t fade. And it really doesn’t. The necklace and earrings that I got in 2015 look as good today as they did when I first got them. I point this out to people whenever they compliment me on my jewelry or ask me about the quality. Another reason that I love ELLE Jewelry is because of the company itself and what they stand behind, plus their commitment to service. The ladies that I met back in 2015 at APC, and again last year, are as enthusiastic about the brand as I am. When people are passionate about the brand they represent – and are not simply there to make sales – it makes all the difference to me. When I was speaking to the all the ELLE ladies you could tell how much they love wearing the jewelry as well. When I see employees that stand behind their products 100% then it makes it easier for me to purchase the products. So much so that when I celebrated my 15th wedding anniversary last year that my husband bought me an ELLE jewelry set. A necklace, earrings, ring and bracelet from the Majestic collection. So pretty! And a special way to mark a significant milestone. 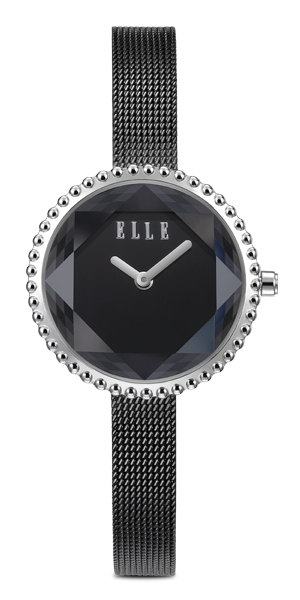 ELLE Time & Jewelry designs reflect the most up-to-date and ready-to-wear trends. Every season they will have new styles for you to pick from and update your look. But what is great about ELLE jewelry is that for the high quality that you get, the price is very reasonable! The jewelry is affordable and will last for years! And even though the styles change from season to season, I find that my older pieces never go out of style. I still love wearing them today as much as I did when I first got them. For Spring 2017, I received a necklace and matching earrings from the Promise collection as well as an ELLE watch from the Stellar collection (photos below). This is the first time that I have worn an ELLE time piece. It is as nice as their jewelry. The watch is lightweight and looks nice on the wrist. It looks very well made too! The clasp is very sturdy and I am not afraid that it will accidentally open, or that I will lose it. It looks great for work! And nights out. Plus their watches come with a two year warranty which is great! The 2017 ELLE spring collection is beautiful. There are many pieces that I want to add to my growing ELLE collection. I will always turn to ELLE for new jewelry as I have no issues about the quality and longevity of everything they produce. 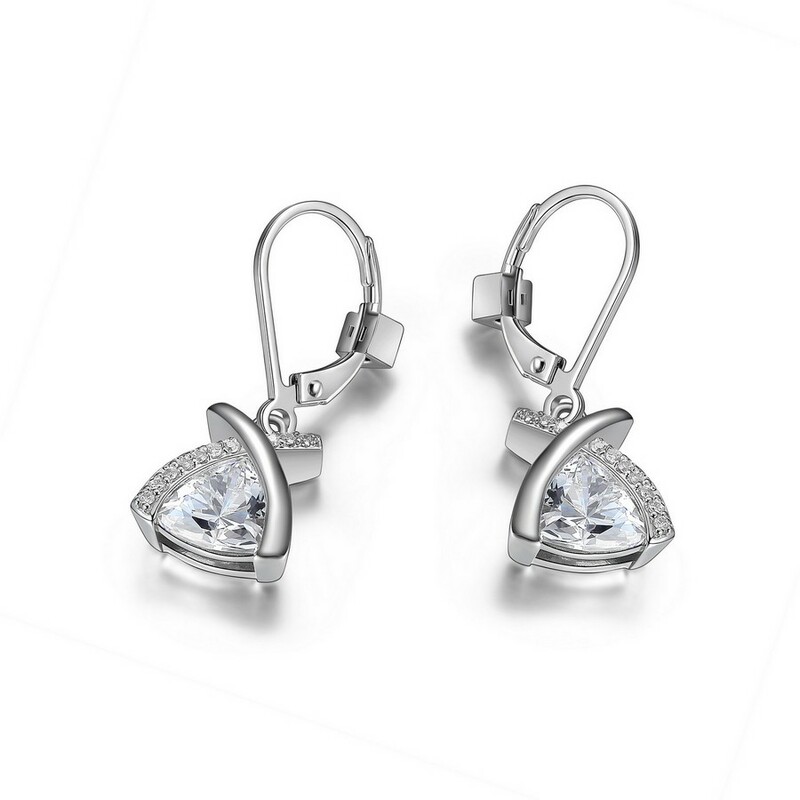 The ELLE Jewelry collection offers a distinguished look and edge that is chic, modern, and bold. Ultimately, they believe accessories should be a personal expression, a way of celebrating a woman’s love of style! And it does! I will continue to be an enthusiastic supporter of ELLE! If you run into me I will gladly show you the ELLE jewelry that I am wearing and will gush about it.